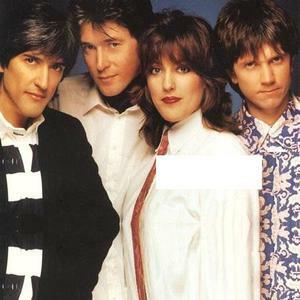 Katrina and the Waves, featuring Katrina Leskanich (guitar, vocals), Vince de la Cruz (bass), and Rew's longtime friend Alex Cooper (drums) made just about a few successful hits where particularly "Walking on Sunshine" stands out. Not much was heard of them for years until they won the Eurovision Song Contest 1997 for the UK in one of the most stunning performances in the history of the contest, with the screaming and enthusiastic "Love Shine A Light" ; a top 10 entry in a number of countries. Not much was heard of them for years until they won the Eurovision Song Contest 1997 for the UK in one of the most stunning performances in the history of the contest, with the screaming and enthusiastic "Love Shine A Light" ; a top 10 entry in a number of countries.